Care for your pet, from nose to tail. When a dog or cat enters lives, a deep bond is created. They’ll love unconditionally, and in return, their pet parents take the best possible care of them. Bio Spot Active Care products are here to give pet parents all they need to proactively care for their pets’ health and well-being. Because they know that a healthy and active pet is a happy pet. And happy pets make a happy home. A PET'S OVERALL HEALTH IS REFLECTED IN THE HEALTH OF THE SKIN. Dogs and cats have much more sensitive skin than humans. And Dr. Thomas knew that skin health was key to overall health. That's why she began her practice focusing on dermatology. She believed effective skin health support called for developing the right combination of natural ingredients. Dry, flaky, itchy, raw skin conditions often go more than skin deep. Some causes? Diet deficiencies, allergies, metabolic problems, exposure to fleas, and dry or hot environments. Dr. Thomas worked to create formulas that would maintain normal healthy skin and organ functions – with great success. And it led to the Vet's Best line – built on the notion that health is nurtured from the inside out, and from the outside in. Every Farnam® product is backed by a deep commitment to animal health care dating back to their founding in 1946. For decades, they’ve been the undisputed leader in horse care. And today, their reputation for innovative product development, thorough research, high production standards and competitive pricing has made them a dominant force in the pet care industry. 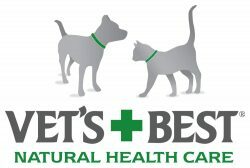 Sergeant’s Pet Care Products has been dedicated to the health and well-being of pets since 1868. Throughout the years, they’ve developed and refined many products that remain on the shelves year after year. They understand that pets mean everything.